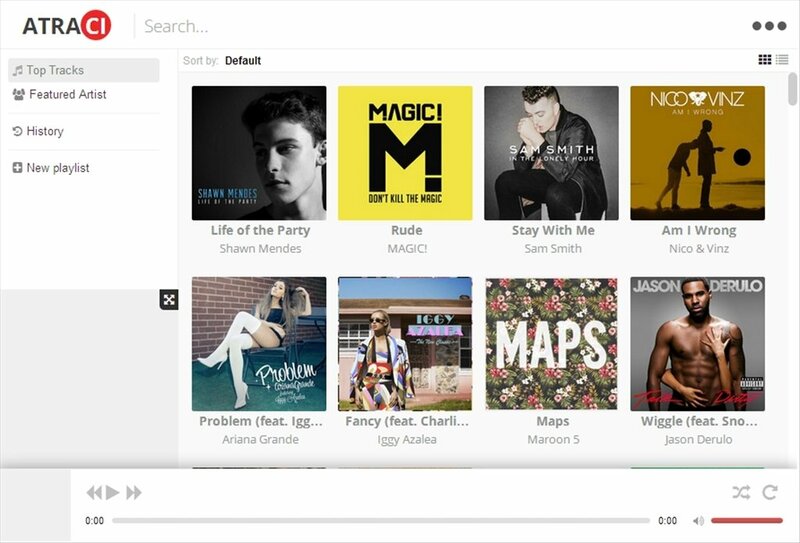 Audio streaming services like Spotify have revolutionized the world of music and have changed the way users enjoy it. 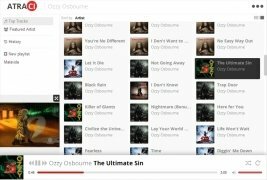 Atraci is an open and free alternative for those users that don't want to have to put up with Spotify's adverts. The Popcorn Time for music. 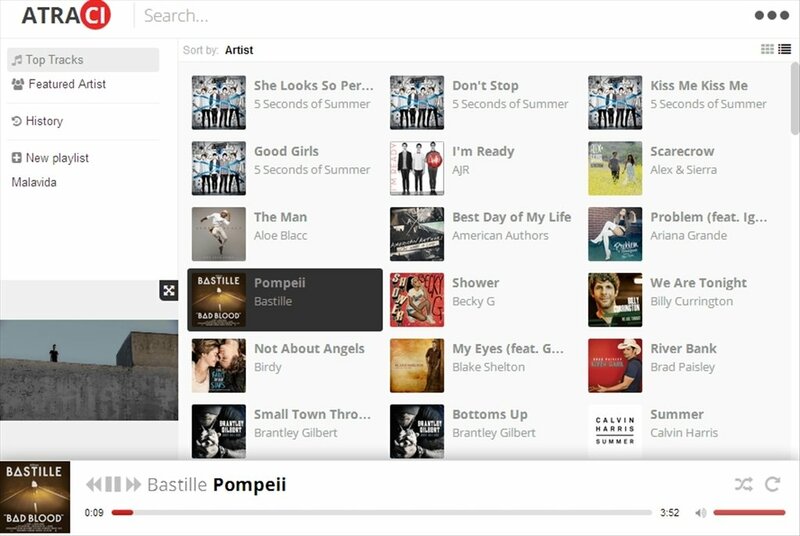 With the launch of Atraci, many users haven't hesitated to state that Popcorn Time's story is repeating itself. To start off with, HipHop appeared allowing us to play millions of songs by means of P2P technology. After disappearing and with the same premise: listening to (not owning) music must be open to everyone and for free, Atraci must take up the baton. 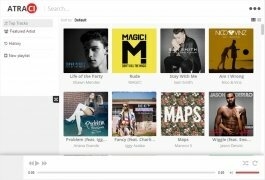 A streaming service that offers a catalog with more than 60 million tracks! Large catalog of legal music obtained from iTunes, Last.fm and SoundCloud. 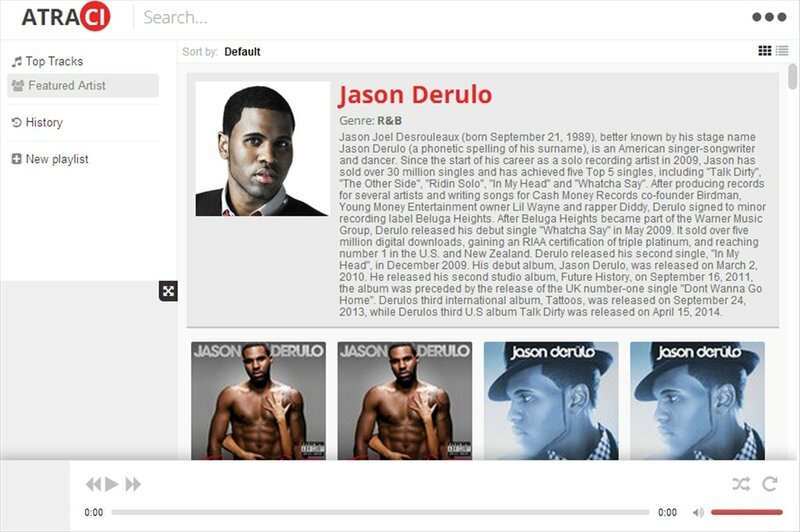 Interface with an integrated search engine that shows the most popular artists and songs. View music videos on YouTube (minimized or on full screen) while you listen to the song. 100% free and without adverts. All in all, Atraci is a totally free Spotify, without adverts, that's legal and that doesn't require any sort of registration. Download it now!